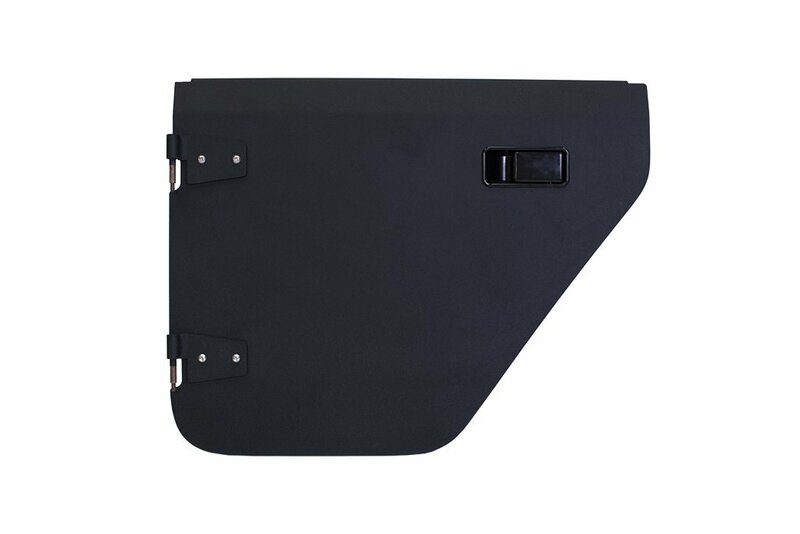 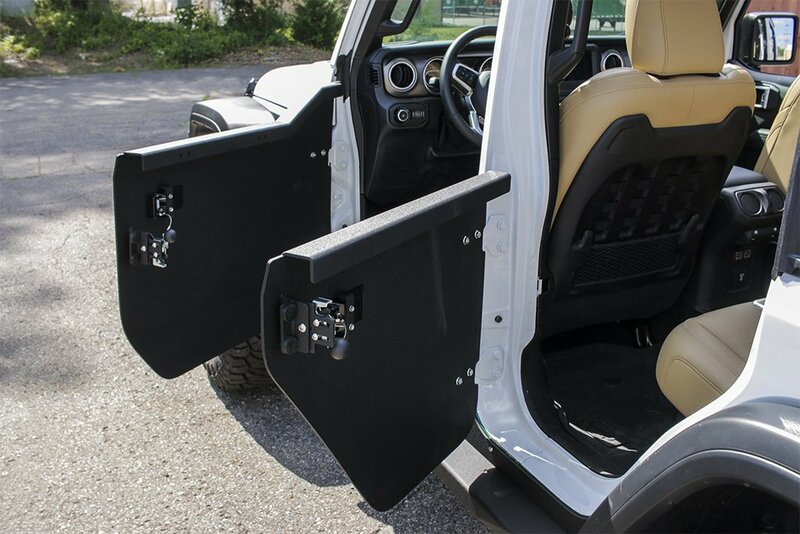 Having a pair of half doors in the front of your Wrangler Unlimited JL is great but adding a pair of Rear Crusader Aluminum Trail Doors will complete the look while letting everyone in your Jeep to enjoy the open air feel. 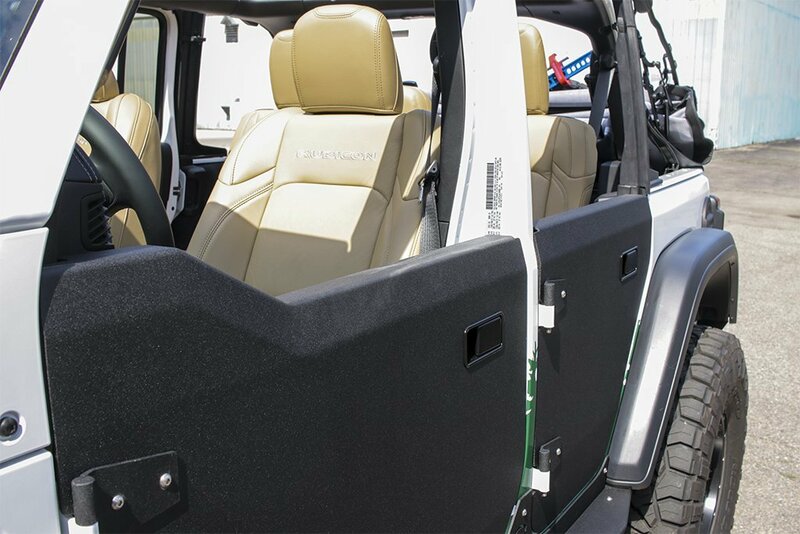 Not only will your passengers get to enjoy the fresh open air but they will be safe and secure too. 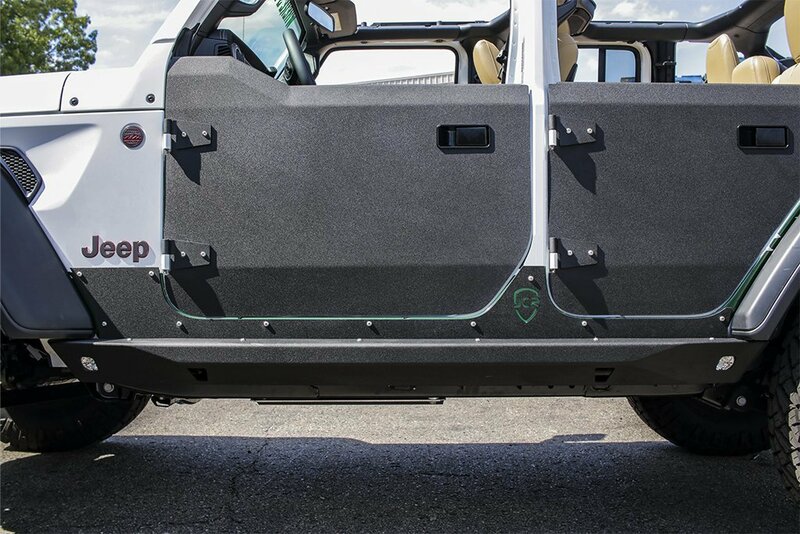 These lightweight aluminum doors are a simple bolt on application and come in either black powder coat or bare metal options for you to choose from.